A new year has arrived and the love of your life has just proposed. You say: yes and the beginning of a new chapter in your life have started. You settle on getting married on Valentine’s Day. 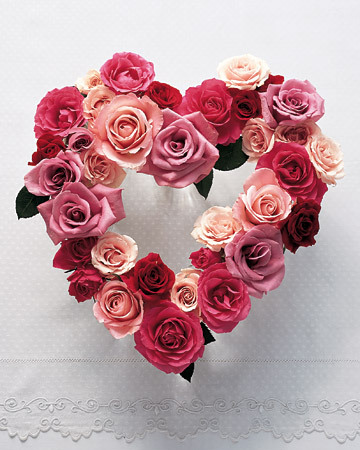 Wholesale roses and several other flowers would be great for a Valentine wedding. Let me give you a number of flowers that would just look spectacular in floral arrangements and wedding decorations. I want to tell you about several roses that come from the farms of Colombia and Ecuador. 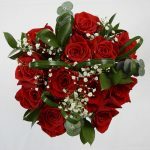 The conventional red rose can be used with nearly all the flowers available in the market. Flower designers generally combine roses with carnations, alstroemeria, garden roses, tulips, peonies, oriental lilies, asiatic, chrysanthemums, gerberas, leather leaf, solidago, statice, baby’s breath and limonium. Now let’s move on to Freedom Red Roses. Freedoms are intense to medium red wholesale roses. They have ninety percent aperture with standard opening and around 38 petals per bloom. 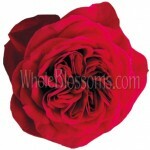 The Charlotte Red Roses have a medium head that opens up in a splendid bloom. They are cultivated from the cool climate of Ecuador and Colombia. Opium Red Roses are a comparatively new breed of flower known for their fairly larger head consequential from a high petal count. One of our purest red roses imported every week, countless florists’ value the pliability and full body look once they are bloomed. The Red Success roses echo a deep red tone and possess wide, full blossoms that are alluring for bridal bouquets and vases too. Cherry Love roses converse without words. Red roses add contrast and inspire. Combining red roses with green mini hydrangeas will create stirring floral designs that will mesmerize your guests. Wholesale Cherry Love roses come in a cherry red shade and hundred percent apertures. They have a fast opening and contain around 34 petals per rose. 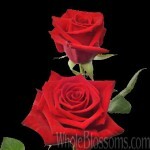 Love Story roses are wholesale red roses with hundred percent apertures and quick opening. On average they include 23 petals per stem. Lush and enchanting, Love Story is an untainted red rose which can be arranged beautifully for bouquets, centerpieces, boutonnieres and more. 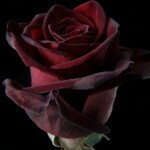 Alongwith the Love Story roses are the Black Baccara Roses. 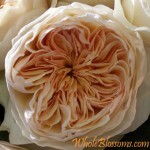 These are one of the most preferred wholesale roses for wedding. 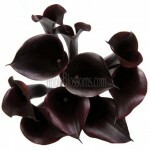 Black Baccara have an exclusive dark red shade and a gorgeous opening. They will make your floral arrangements look beyond belief! These were only red roses although I am sure you would want to add a touch of white ones as well. White bulk roses when combined with garden roses, hydrangeas and peonies look stunning in wedding bouquets and centerpieces. White flowers produce a relaxing and delightful radiance that will boost your flower arrangements and wedding decorations. Let’s not forget the Anastasia Rose; this rose has a large white bloom that with a tinge of cream in the middle a usual choice amongst brides, Polar Star white roses are acknowledged for the star shaped blossoms of their creamy white petals. 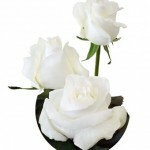 Fresh cut polar star roses are appropriate for bridal bouquets because of their high petal count and large heads. 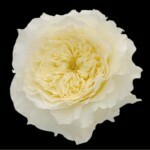 The Mount Everest creamy white premium rose is known for its large bloom size, similar to the Akito Rose. 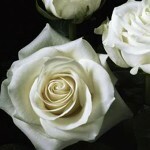 It is considered a large rose in comparison to other white roses. My gorgeous brides these were just few names of roses that can look great as your wedding flower. You can use them in bouquets or in any floral arrangements. You can combine them with other flowers or probably just use an all rose theme for your valentines wedding. In the end just remember it is your special day and you are the most beautiful rose. Any girls sweet sixteen is one of best events ever. She shares a special dance with her father, throws a big party for herself and all her friends to enjoy. Traditionally sixteen candles are given during the ceremony however fresh cut flowers also have a special meaning on this special day. 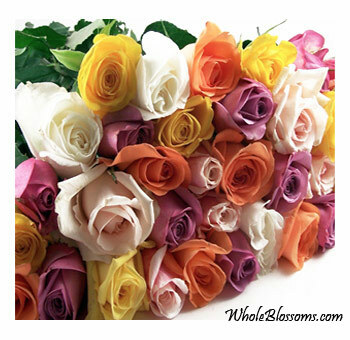 You can merge different wholesale colored roses, few white and few red ones. The first rose is given to the girl’s parents and the second rose is for her god parents, third rose represents her siblings and in case she does not have any siblings, then the third rose is for her grandparents. Roses 4 to 7 are for the all the members of the family. Roses 8 to 14 are for her friends. Rose 15 is for her best friend and lastly the 16th rose is for her boyfriend. 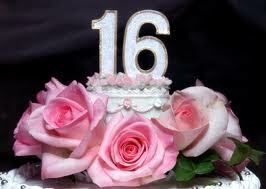 These meaningful flowers can be given on the sweet sixteen celebrations instead of candles. 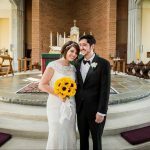 The party room or ballroom that you have chosen for this special day must be decorated with wonderful wholesale flowers that are significant to the birthday girl. The Celebration can be made more beautiful with a pleasant arrangement of white and red gerbera daisies for the Centerpiece you can also add a splash of evergreen. These centerpieces will be adorned on all the sixteen tables used for the event. At the entrance and all through the ballroom you can beautify with wholesale tulips as these fresh flowers are ideal to use for decoration. Like many other flowers, different colored of tulips hold different meaning. Red tulips symbolize true love, whereas purple ones represent royalty. The yellow tulips have once used to represent hopeless love however now they stand to express cheerful thoughts and sunlight. White tulips articulate worthiness and they also stand for forgiveness. An attractive decoration for your guests could be is placing loose, wholesale Bombay Dendrobium flowers inside a crystal bottle and putting a thank you for coming card next to it. There’s no reason for you to limit yourself with Bombay Dendrobiums, you can very well use different types of petals like the loose, wholesale freeze dried rose petals, Dyed Bom Blue Dendrobium petals or even mixed rose petals, this would make a memorable gift. On this special day your sweet sixteen birthday girl must be given a day to remember. Give her an event that she will treasure in her heart forever, and that she can share with her friends and her family. 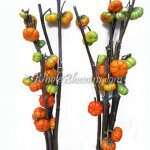 Wholesale Pumpkin Trees are a perfect addition to any flower arrangement. They grow on thick branches, these magnificent miniature gourds come directly from our farms. Most of our customers like to use fresh cut mini pumpkin trees for seasonal events, wedding decorations, office party and for dry flower arrangements. An ideal addition to floral centerpieces, these beautiful pumpkin branches can be used as separate setups or fillers in your arrangements. 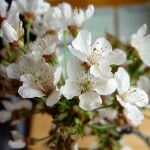 Wholesale Cherry Blossom branches can be found from late January to May. An exclusive flowering branch, cherry blossoms are extensively used by floral designers for graceful representation of spring beauty. Admired for flower centerpieces, cherry blossom branches could also be tied together to make cherry trees for indoor decoration that add a gallant and urbane statement. As a result of seasonality, these branches are subject to availability. Each bunch comes with 6 to 10 branches. Manzanita Branches are two feet tall and come in a pack of 1 to 2 branches per bunch. One bundle has ten bunches of 1 to 2 branches. Besides the Manzanita’s, Whole Blossoms also sells Curly Willow. We have long, tips and medium Curly Willow. Whole Blossoms fresh Curly Willow tips are basically the tips or ends of the branches of Curly Willow. The short curly tip is about 28 to 40 inches long and the medium wholesale Curly Willow branches are about 40 to 60 inches long. Our long Curly Willow branches are about 60 to 72 inches long. All of these Curly Willow branches are ideal for making tall floral arrangements and also as an addition to floral centerpiece. They can be used for wedding and Christmas flower decorations also. Fresh cut Curly Willow harvest from our farms and are shipped straight to you for most freshness. Greens are just as significant as the branches. Bells of Ireland, also called as Molucella, are a big spiky plant with cup like leaves on the sides. Small spikes line up the leaves and small blooms grow within the leaves. Fiddlehead Ferns, also called as Fern Curls, are gorgeous exotic fillers that create perfect accompaniments to floral arrangements. They can be used in wedding bouquets and boutonnieres they can also be used in flower centerpieces to create an exotic and unique look. Wholesale fresh cut fiddleheads are available all through the year. Wholesale Fiddlehead ferns are harvested for your custom orders and vigilantly packed at the farm for shipping to you. 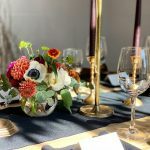 With a blend of silver white and subtle green color, fresh cut Dusty Miller greenery creates lovely table centerpieces and other floral decorations. 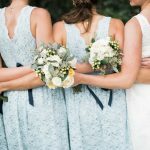 Most brides and their florists prefer Dusty Miller filler to highlight bouquets and boutonnieres. We love to combine fresh cut Dusty Miller with garden roses and succulents. Ti Leaves symbolize a tropical evergreen which is medium in width and local to South Pacific regions where its leaves are used in cultural events, celebrations and even clothing. They are immensely popular in flower arrangements; Hawaiian Ti Leaves are outstanding fillers and are used in creating Ti Leaf Leis. For best and most freshness, your Ti Leaf orders are custom harvested and packed carefully at the farm. Lastly we discuss Baby Eucalyptus. Eucalyptus is a fragrant filler famous for its distinctive blue gray color and it scent. Purchase Baby Eucalyptus to design outstanding wedding bouquets and centerpieces. Well these are just few names of branches and greens that could be used for special events. You can also use these for wedding, holiday, and for many more events decorations. Benefit from our wholesale prices, and free shipping on these fillers and greens. There is a large variety of flowers that are available throughout the year. These flowers can be used for wedding bouquets, decorations, flower arrangements, or any event that needs floral decoration. Since there is a wide range of flowers I will only bring up the ones a found eye-catching and fascinating. Let’s start with the David Austin Roses. Darcey Red David Austin Roses are elite and chic wholesale roses. Darcey Garden Roses are a symbol of passion and romance they’ll surely add a striking contrast to your wedding flowers. Kate David Austin Roses come in a hot pink shade that blends well with pastel shades and vivacious colors to make your wedding decorations stand out. Last of all in the David Austin Roses is the Keira David Austin Rose. This rose comes in a very light shade of pink. 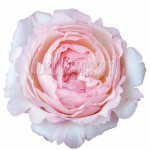 The Keira David Austin Garden Rose is used in bridal bouquets and also in other wedding decorations. They are famous for their fragrance. Seeing a couple celebrating their Golden wedding anniversary is a breathtaking sight. Golden wedding anniversary is celebrated when a couple has been married for fifty years. 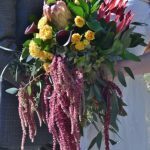 Here we’ll share with you several wholesale flowers that you can use to adorn the ballroom or decorate the wedding chapel where this memorable day will be celebrated. Let’s start with different types of roses that would look beautiful, fresh cut bicolor orange yellow roses are very popular as they have a long vase life and they bring a beautiful sense of color to your party. We also recommend Baby Romantica garden roses; though they are smaller than single stem peony garden roses they are still a great choice when you want to fill up space in centerpieces and bouquets. Each spray stem has 3 to 5 blooms. You can also go for fresh cut wholesale Toulouse Lautrec Yellow Garden Roses they are perfumed single stemmed roses that vary from dark yellow to yellow in color. Toulouse Lautrec is cup shaped. Yellow roses can also be used as single stems. Talking about roses last but not least are the Yellow Spray Roses. The spray roses are used by when slightly longer stems and bigger heads are required. You can consider the 24inch rose length. Spray roses are used for wedding cakes, flower baskets and combs and where ever petite sized blooms are ideal for creating graceful touches. Apart from the wholesale roses, let us suggest other flowers that can be used. Gorgeous Fresh cut yellow mini calla lilies can be used. Calla lilies can be easily hydrated, easily arranged, and are simply extraordinary! Mango and Flame Mini Calla Lilies make popular floral arrangements. These wholesale Calla Lilies flowers are used as individual decor however they are also generally used in bride’s bouquets, and in floral centerpieces and boutonnieres. 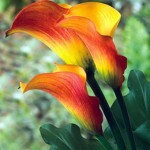 The flame mini calla lilies are yellow with a dark orange red tip like that of a flame. Fresh cut yellow Gladiolus flowers are spectacular with tall stems measuring up to 2 to 3 feet in height and funnel-shaped yellow blossoms. 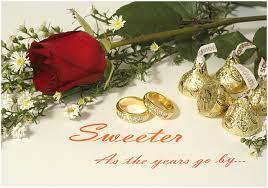 We also offer several fillers that can be used in a golden wedding anniversary. Dyed Yellow Baby’s Breaths are wonderful fillers that are easy to use. 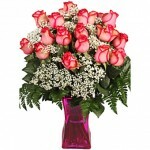 They also known as Gypsophila and are commonly used to complement fresh or dried rose bouquets and floral arrangements. A crested variety of Celosia called Cockscomb is another interesting option this flowers texture looks like human brain or a coral head. 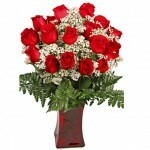 This exceptional and assorted flower comes in striking yellow, orange, red and green colors with tall and stiff stems. Celosia Cockscombs are an ideal choice for fresh cut flowers though some people prefer dried Celosia Cockscomb. All of the wholesale flowers mentioned above can be used in bouquets, vases, centerpieces, boutonnieres or corsages. 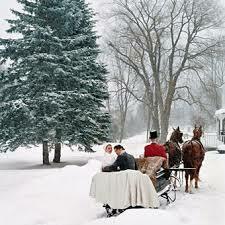 No matter what you decide to use make sure that this event is memorable for the couple. 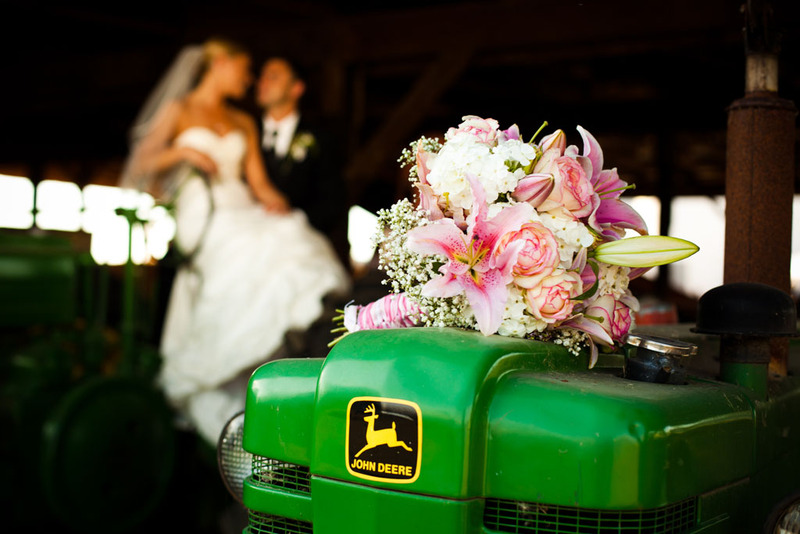 What can be more beautiful than a country wedding with just you, the man you adore and nature? Once you have selected your wedding venue, it is now time to start planning the wedding decorations. 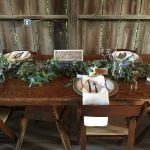 Nature is the biggest aspect of a country wedding. 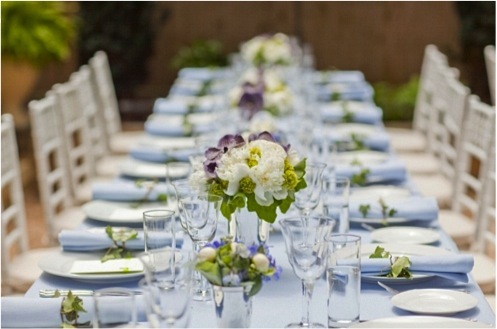 We would like to provide you with few DIY wedding tips and ideas. 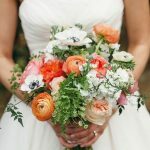 Wholesale flowers are great to use in a DIY wedding but you do have to take into consideration the colors chosen by the bride. Let’s say she has chosen to use beige, white and green. An exquisite assortment of fresh cut jade, green hypericum, cream roses, dyed green hydrangeas, white tulips and stephanotis will create a stunning bouquet. These are enough flowers for the entire wedding party. 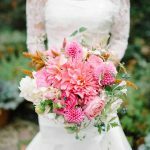 All of these flowers are great for a country wedding; however we must say that in browsing through several flowers we found that the exclusive Whole Blossoms DIY package was simply remarkable and captivating. You can enjoy a blend of fresh mini calla lilies, dark red roses, freesia, rose petals and variegated lily grass by using this package. It depends on what size you order. This package has enough flowers to create 20 to 50 centerpieces and 4 to 10 bridal bouquets. It is a suitable flower combo for DIY wedding you can use to make floral arrangements at your leisure time. Every bride has a special experience, but it would be memorable. If you feel you just don’t have enough time to DIY, then we suggest that you get a package that has all that you need for the wedding party. No matter what package you choose to use for your DIY wedding, bear in mind; your wedding is a once in a life time event. You will be get all the attention from your family, friends and off course, the love of your life. Don’t pay any attention to the small bumps on the road. Just enjoy and treasure these wonderful day.